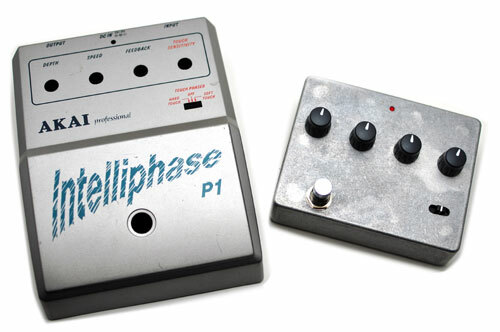 I remember years ago when Musician’s Friend was blowing out these Akai Intelliphase pedals for $40 but I decided against picking one up due to the size. Above is a shot of a customer’s pedal rehoused into a 3.5″ x 4.5″ casing. There are two boards inside, both of which need to be trimmed to get them to fit into the casing. The larger of the two boards needed to have a section cut and cropped in order to fit into the casing. It was a very time consuming process but I think the end result was worth it.